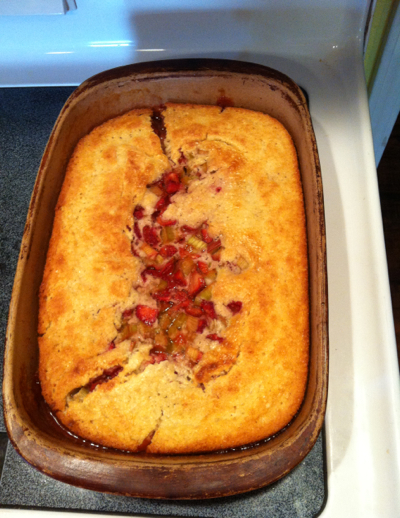 At Home with Chas: Rhubarb & Strawberries... an Excellent Combination! Rhubarb & Strawberries... an Excellent Combination! 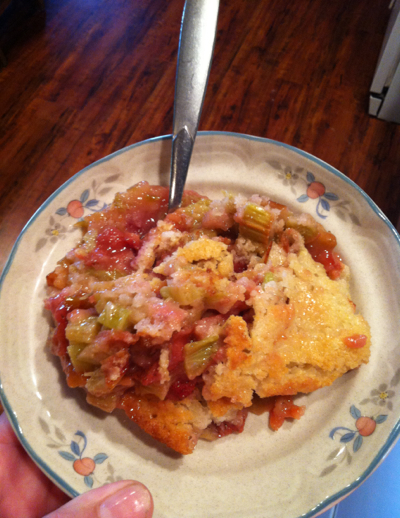 This is year #2 with my rhubarb. On your second year, you can pluck some stalks! I did my first plucking this past weekend! 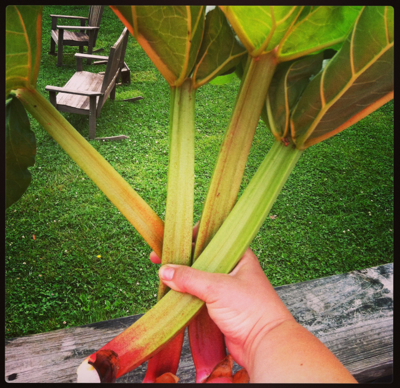 A week ago, Shannon's grandpa stopped by the homestead and was bragging on the rhubarb. He said, "You want some good eatin?" He then said, "Cut you a few of these stalks up with some strawberries and make a pie! Mamaw's got a recipe." I didn't get the recipe, but I will... This is just how I did it and it was a great hit with the family! I chopped my rhubarb, which equalled about 2 cups, then I sliced up some of our strawberries that are now ripening. Yay! I poured a little organic cane juice crystals (you can use sugar if you like) and a bit of vanilla over the mixture and let it set til it got nice and juicy. I used slightly less sugar for this crust than I do for my normal cobblers. It worked well! 1/2-1 cup of sugar/cane juice crystals/maple syrup/etc. Melt 1 stick butter in casserole dish. Once butter is melted, pour in crust mixture. Pour fruit in over crust. Bake at 350* until crust rises and browns. This was absolutely delicious! Give it a try and let me know what you think! Tanks so much for your visit and your swee comment. Please do give rhubarb a try. I wasn't sure of it to begin with because it reminded me of celery. I don't care for celery. But this recipe is great and totally yummy!